The invoice price & true dealer cost are not the same. The true dealer cost of a Hyundai Veloster is lower. 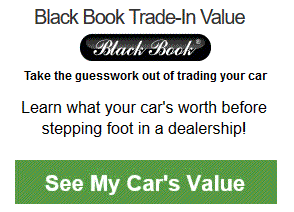 Note: The Hyundai Veloster pricing report below does not include rebates or incentives. View Hyundai Rebates and Incentives. Hyundai Veloster Prices - How Much is a Hyundai Veloster? The Hyundai Veloster is built to be a fun vehicle to drive. As a hatchback, the 2019 model has gotten a new platform but still has the same curves built into its roofline. New for this year is a more capable engine along with the option to get a turbocharged one. This compact car is designed to zip around city streets, and it can certainly open things up on the highway. The 2019 Hyundai Veloster has an aggressive stance, with the LED daytime running lights and projector headlights helping with visibility. The roofline, which can come in a contrasting color tone, sweeps down into the rear. In the back of the car, a spoiler helps reduce drag, and center-mounted exhausts stand out visually thanks to their chrome tips. One detail that makes the car unique is that it has a third door. In addition to the full-size driver and front-passenger doors, there's an additional smaller door on the passenger side. This asymmetrical element adds a bit of quirkiness to the car, and it provides back-seat riders with easier access. The car either comes with a standard inline four-cylinder, 2.0-liter engine or a turbo version with a displacement of 1.6 liters. The base engine has 147 horsepower compared with 201 horsepower on the more powerful one. Likewise, torque is 132 pound-feet in the standard engine versus 195 pound-feet in the turbo. Both work on a 16-valve system with direct injection and continuously variable valve timing. All of the versions of the Veloster are front-wheel drive vehicles. There's the option to have either a six-speed manual or automatic transmission. They all come with multi-link rear suspension and MacPherson struts up front. Exact mileage varies depending on which exact model of the Veloster is driven. In general, these vehicles can get anywhere from 28 to 30 miles per gallon when city and highway driving are both factored into the calculations. Five different trim levels await customers. At the starting point is the 2019 Hyundai Veloster 2.0. It sits on 17" alloy wheels, whereas all the other trims use 18" wheels. Heated side mirrors come in handy on frosty mornings, and tinted glass in the back adds to the style of the car. Inside, there are cloth seats, with a 60/40 seat in the back. The 2019 Hyundai Veloster 2.0 Premium is a bit more comprehensive in terms of what it offers. It would be the choice for those who want some advanced features and a standard automatic transmission. This trim comes with a wide sunroof that brings in light, and its cloth seats have leather bolsters. Having heated front seats can make a difference for those in colder climates. In the middle of the line-up is the Veloster Turbo R-SPEC. It comes with a manual transmission, and people who love to drive stick will appreciate the B&M Racing sport shiver integrated into the car. Even its tires are designed for driving enthusiasts, as it comes straight from the factory loaded with specialized Sport 4 Summer Performance tires. LEDS in the headlights and taillights help make the car more visible. At the top of the collection of Velosters are the Turbo and Turbo Ultimate. The Turbo comes with a dual clutch transmission that can either lend itself to smooth transitions or a more aggressive ride. The Turbo Ultimate comes with the manual transmission, though it has the option to put in the dual clutch system. These two top trims of the 2019 Hyundai Veloster have sunroofs and side mirrors that have turn signals built into them. The Turbo Ultimate has leather seats, and they both have the heated front seats that many prefer. A big way in which the versions of the 2019 Hyundai Veloster differ is related to their technology package. The 2.0 comes with a 7" touchscreen, the middle three trims come with a 8" touchscreen, and the Turbo Ultimate uses an 8" touchscreen with integrated navigation. HD Radio is only available on the Turbo Ultimate. Apple CarPlay and Android Auto compatibility are present in all models, so phone integration can be quite simple to set up. The cars all have Bluetooth as well, allowing phone calls to be routed through the Veloster's speaker system. The trims, with the exception of the 2.0, are equipped to respond to voice commands. A pad that allows for wireless charging is only present on the 2.0 Premium and the Turbo Ultimate. Driving information, such as elapsed time or mileage, is displayed on the vehicle's instrument cluster. That display cluster measures 2.5" on the 2.0 and 4.2" on the other trims. Plus, only the 2.0 has a monochromatic display, with the others showing information in various colors. To better keep the driver's eyes on the road, the Turbo Ultimate comes with a heads-up display behind the steering wheel. Each of the models of the 2019 Hyundai Veloster incorporate some sort of detection system that helps drivers avoid forward collisions. Additionally, they're built with mechanisms in place to keep drivers paying attention and in their proper lanes. To assist with monitoring the blind spot, the 2.0 and Turbo R-SPEC come with a special blind spot mirror, and the others come with a warning system. The 2.0 Premium, Turbo, and Turbo Ultimate also can send out an alert when cross-traffic is detected behind the Veloster when it's in reverse. Example: Base Hyundai Veloster invoice price + the dealer Invoice price of all the options + destination - Holdback = Total Dealer Cost. 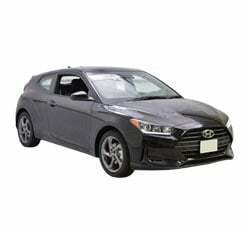 Note: All Hyundai Veloster MSRP, invoice and dealer cost dollar figures above are approximate amounts. Prices are subject to change without notice.